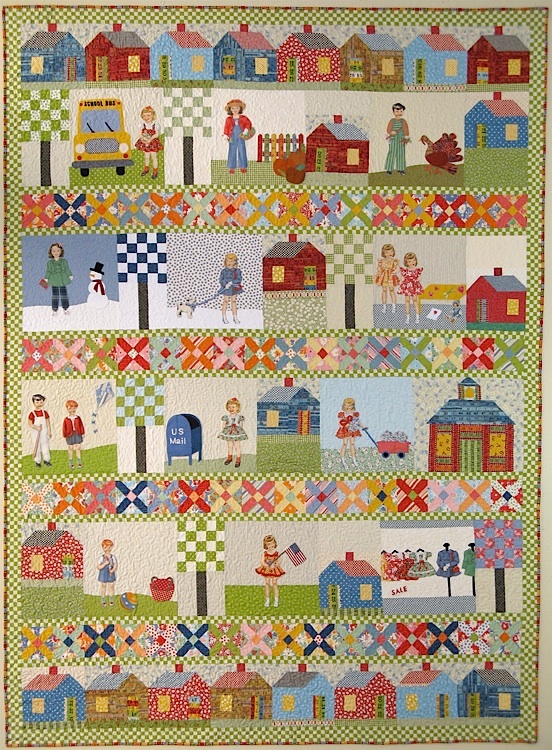 This quilt was made using American Jane fabric for Moda Play All Day. 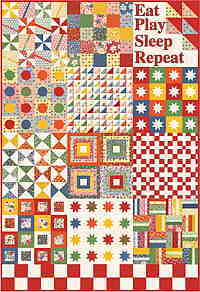 Click here for the quilt kit. 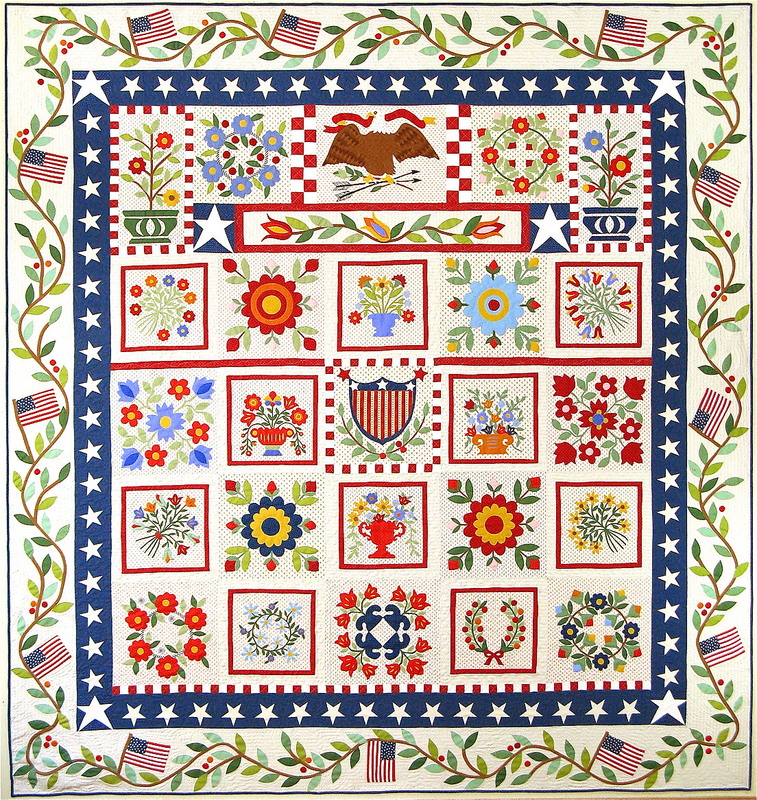 This quilt was made using assorted pindots and background fabrics. 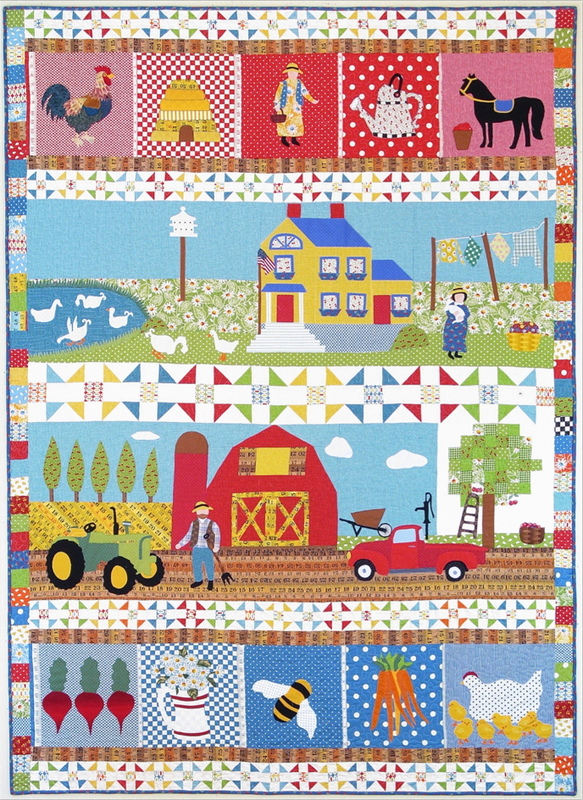 There’s something for everyone on a farm just like a big pot luck. Fresh air, vibrant greens, blue skies, wholesome foods, clear water and all those things that make you feel healthy, happy and at home. Finished size 62" x 86". 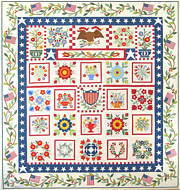 This quilt was made using Pot Luck fabric by American Jane for Moda and assorted fabrics for applique. 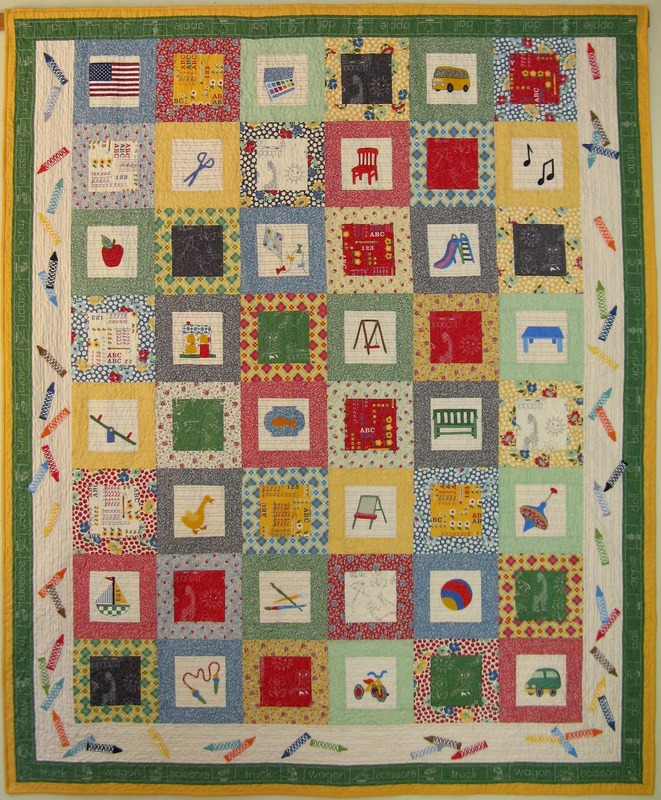 This quilt was made using School Days fabric by American Jane for Moda and Pezzy Prints. 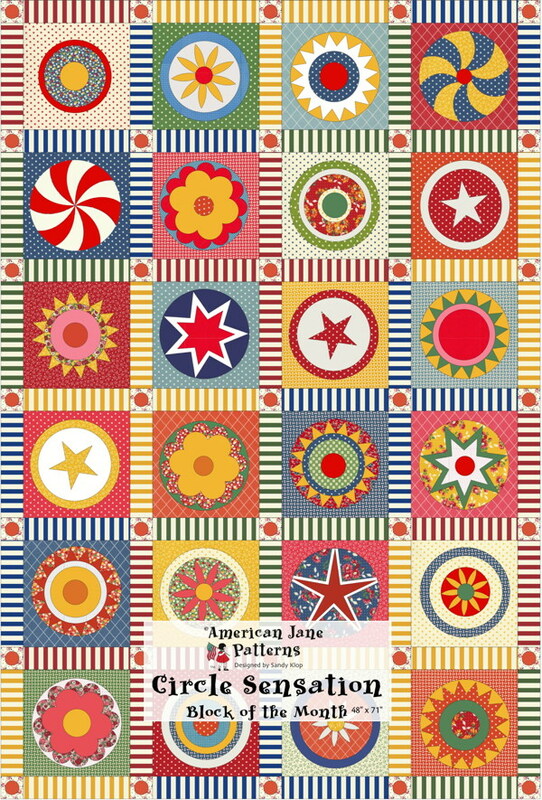 This quilt was made using American Jane Pin Dots and Punctuation fabric by American Jane for Moda as well as generic fabric. 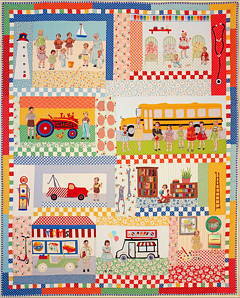 From the first day of school in September to back to school shopping in August the Calendar Kids celebrate each month. 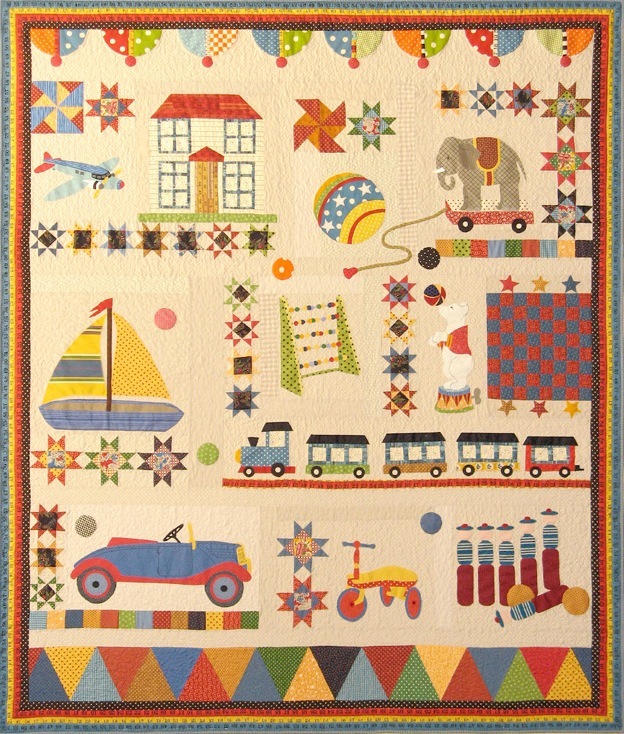 Finished size 67" x 92". 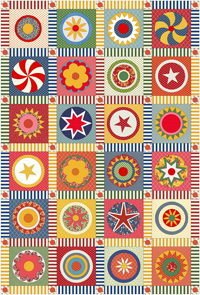 This quilt was made using Snippets fabric by American Jane for Moda as well as other Moda fabrics. There’s a whole little society that lives above our heads, up in the trees. 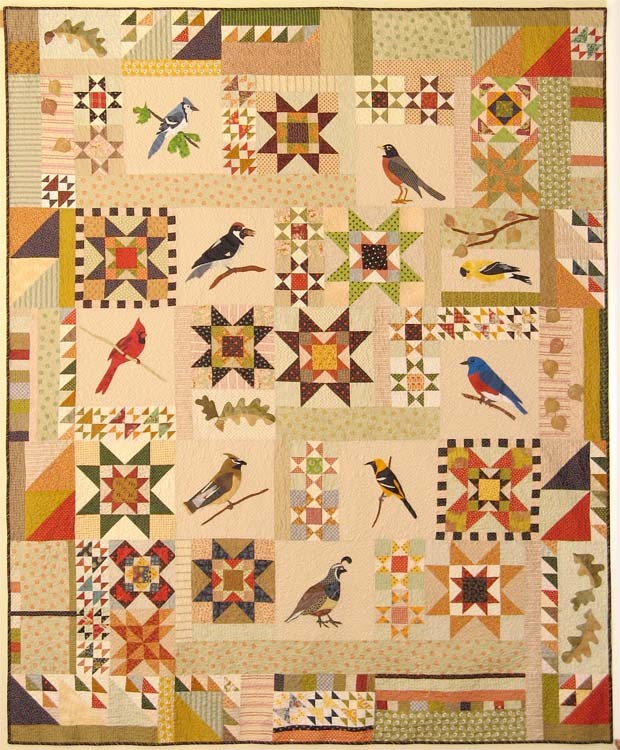 I love to hear the birds chatter and sing as they flit about here and there carrying on with their business. 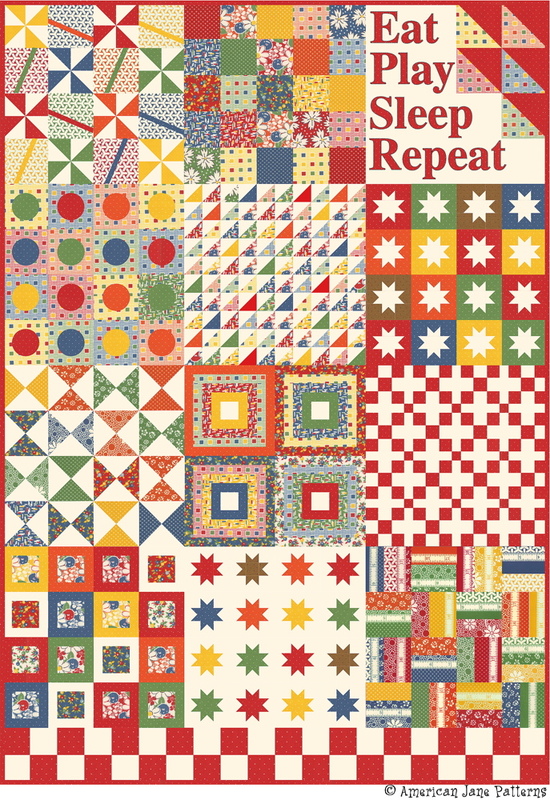 A set of nine patterns. Finished size 72" x 88". 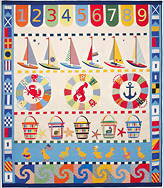 Playrooms are filled with dreams and imagination runs wild. Toys scattered all over the floor means little minds at play are doing their "work" for the day. 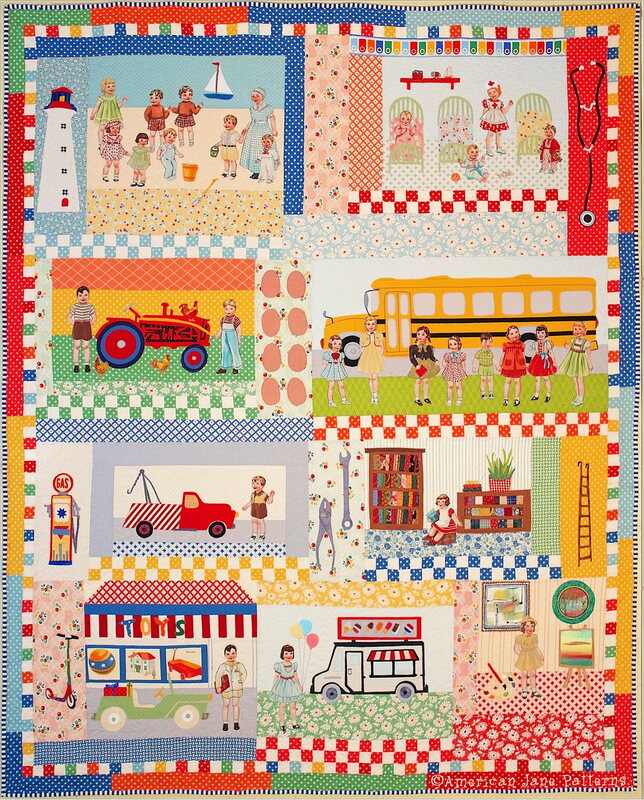 May we all find play in our work. 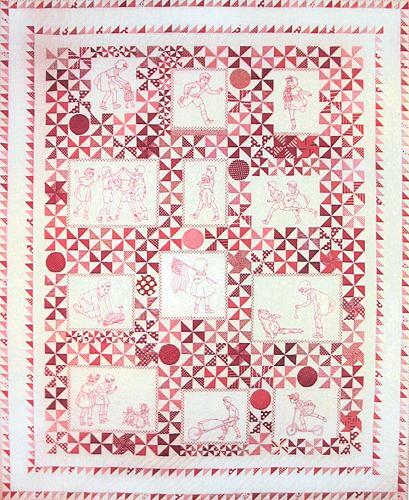 Finished size 70" x 83". 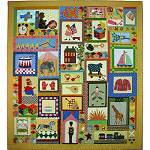 The Alphabet Quilt includes the complete set of nine patterns needed to complete this applique quilt of classic toys. 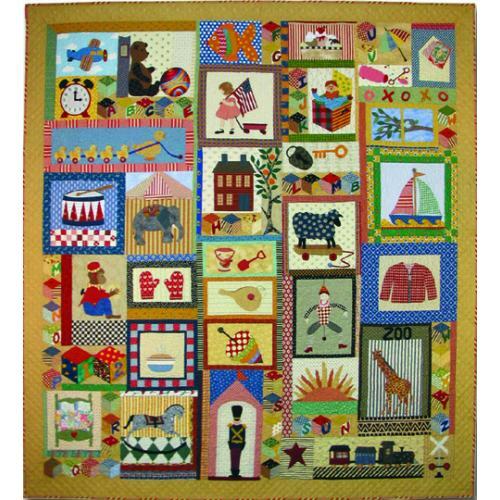 Measuring 82" x 90", this fat quarter friendly design features nine applique blocks of classic toys such as trains, teddy bears, sailboats, drums, toy soldiers & stuffed animals. 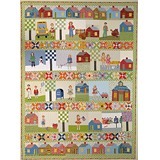 Each individual pattern can also be made into a pillow or wall hanging. 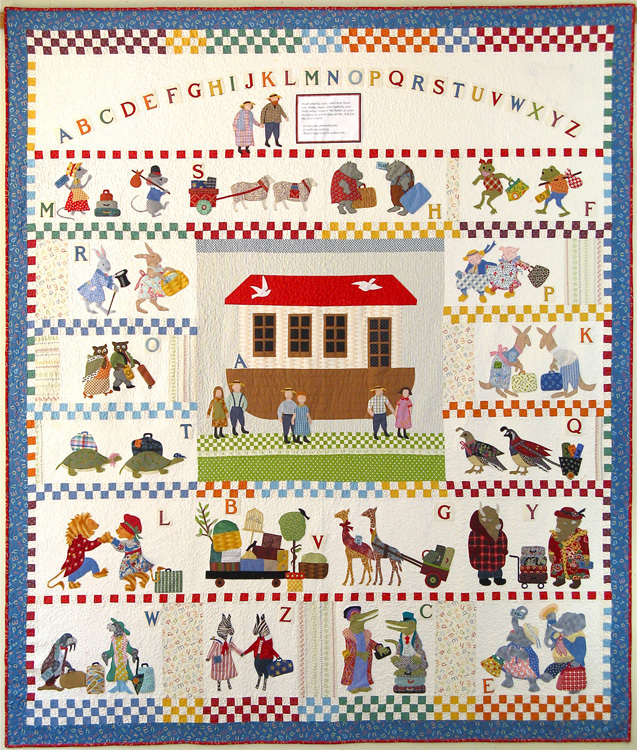 By completing the blocks in each pattern, you'll be able to assemble the whole Alphabet quilt with very little effort.